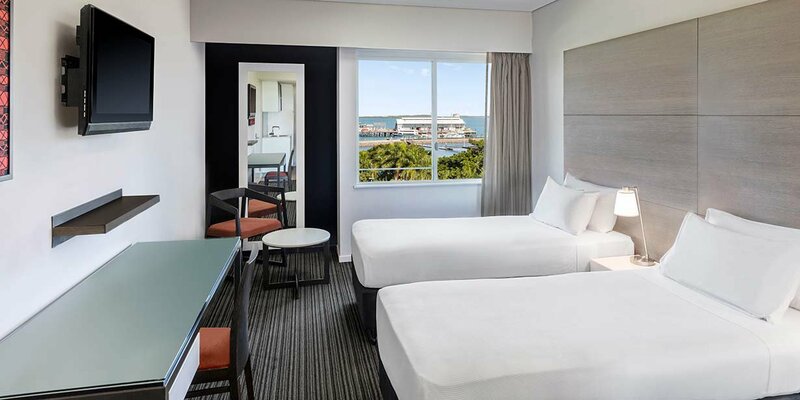 Adina Apartment Hotel Darwin Waterfront is located just metres from Stokes Hill Wharf, Darwin’s Wave Lagoon, and a great selection of restaurants and bars. 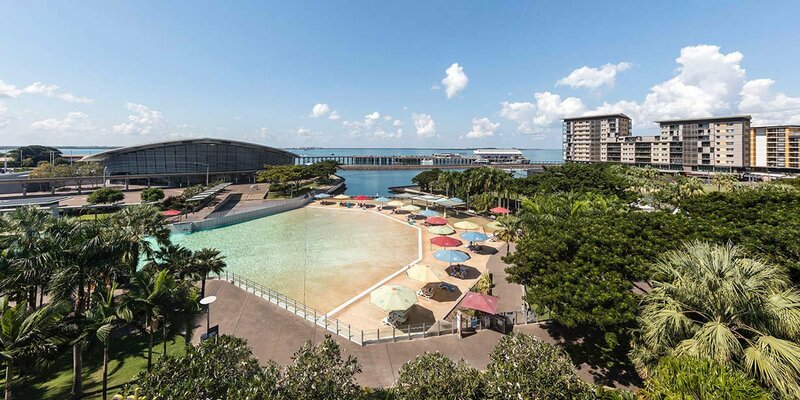 The serviced apartment style hotel is also close to the Deckchair Cinema, Bicentennial Park, Mindil Beach Sunset Markets, and the CBD, allowing you to easily explore all Darwin has to offer. 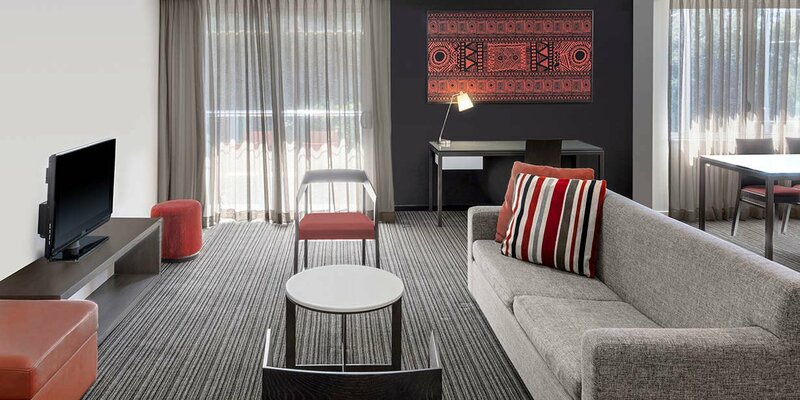 Adina Darwin Waterfront features spacious one and two bedroom apartments and studio rooms, fully-equipped with all the comforts of home. 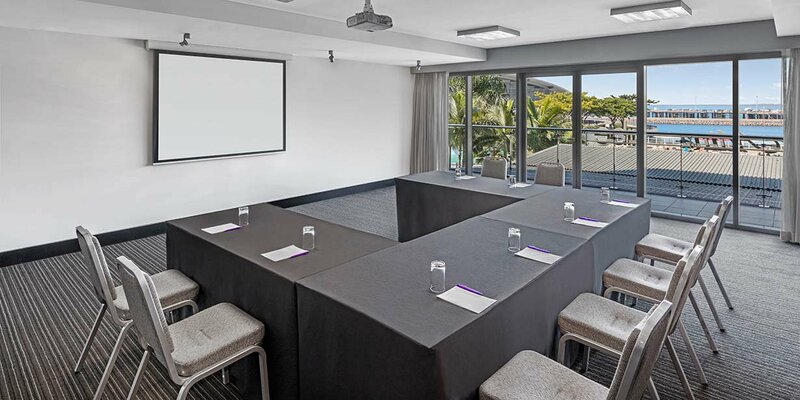 Cook up fresh produce from the local markets in your kitchen, freshen up your clothes in your in-room laundry and spread out in your separate living area. 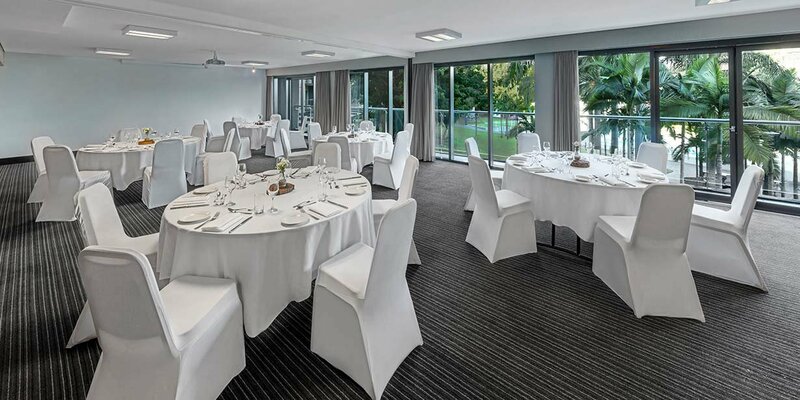 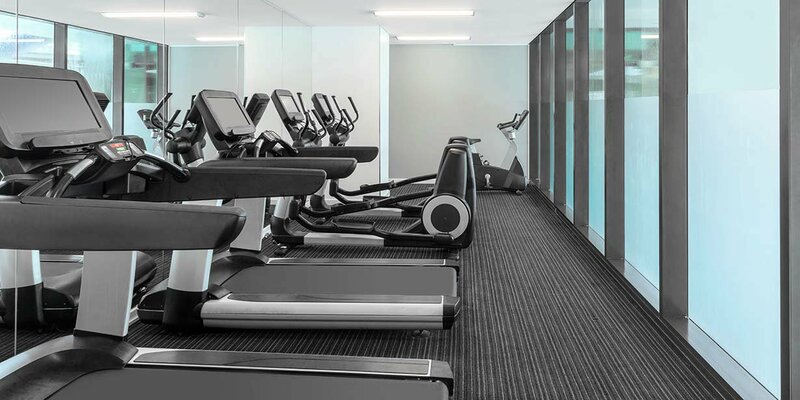 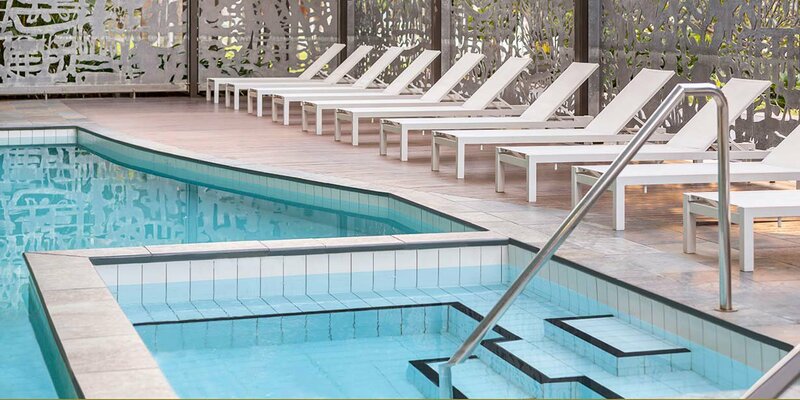 You’ll also have the benefit of hotel facilities and services, including an outdoor pool, fitness centre, on-site parking and 24 hour reception. 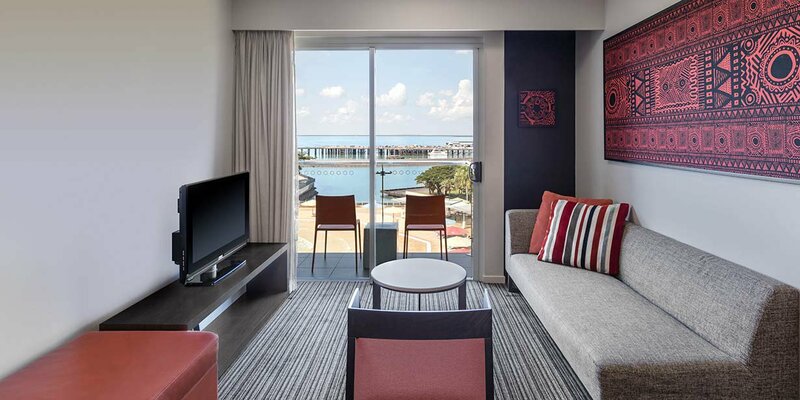 Serviced apartment style living, combined with the hotel’s inner-city, waterfront location, makes Adina Apartment Hotel Darwin Waterfront an excellent choice for both short and long term stays. 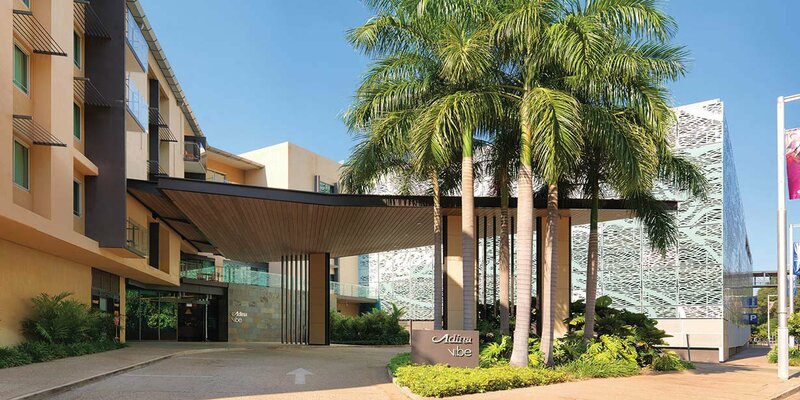 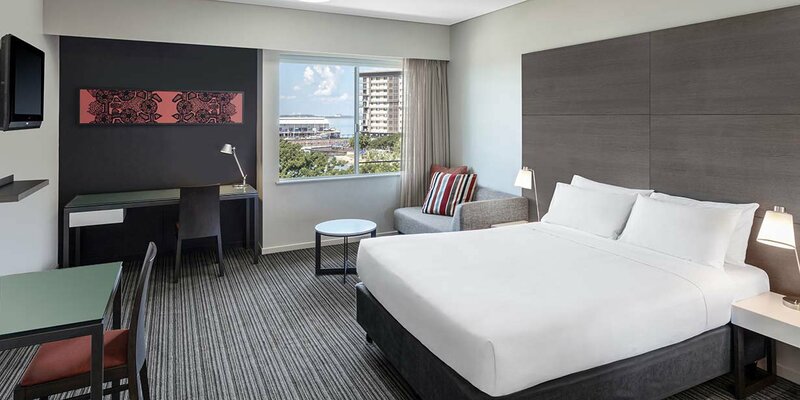 Business travellers have easy access to the Darwin Convention Centre, an iconic landmark in the area and home to truly exceptional exhibition and business facilities. 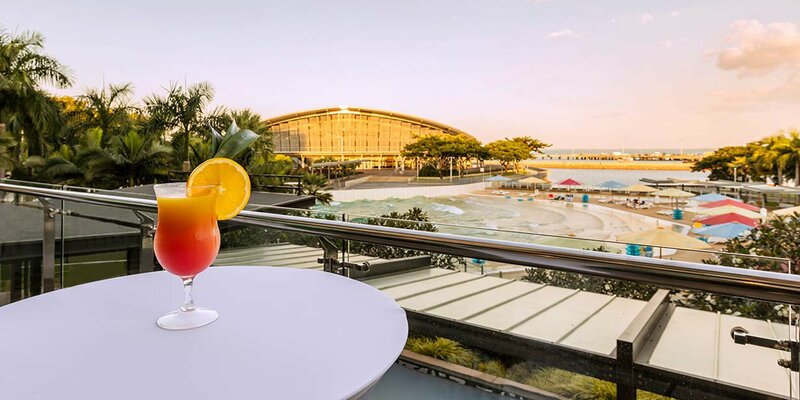 After a busy day at a conference or business meetings, enjoy sunset by the waterfront with a cocktail in hand. 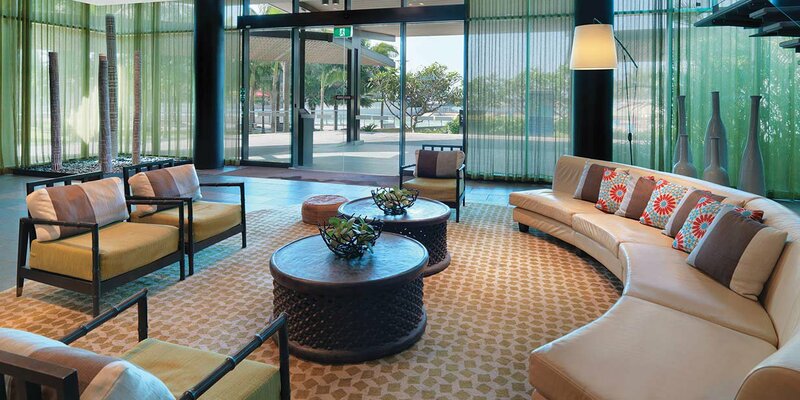 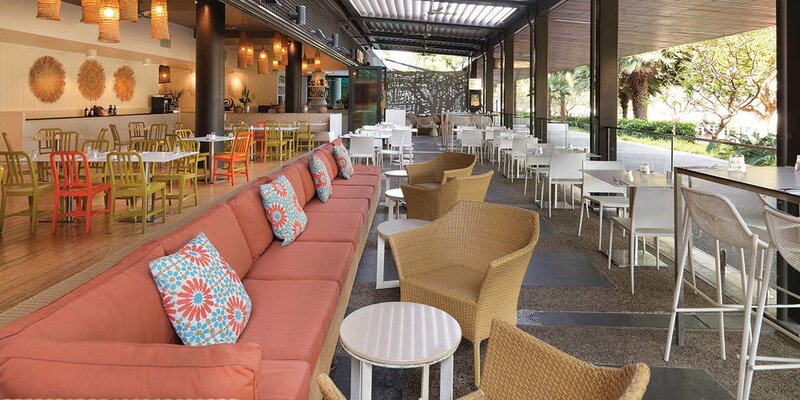 Whether travelling for business or leisure, as a guest at Adina Apartment Hotel Darwin Waterfront, you are perfectly placed to enjoy all that this thriving area has to offer.